Three men are going on trial for the deaths of two Irvine residents. The victims were the parents of a young woman who was dating one of the Defendants. Another daughter suffered serious injuries in the attack. The parents were found dead, their bodies showed evidence of being stabbed and beaten. The remains were found at a park in Irvine early in the morning; they had been set on fire. Officials explain that the victims were targeted by the boyfriend of the youngest member of the Dhanak family, who was unharmed and not at the house during the incident. Her parents had told her to end the relationship with Iftekhar Murtaza, who they did not approve of. Vitaliy Krasoperov, a friend of Mr. Murtaza, will go on trial for aiding and abetting, since according to prosecutors he participated in the planning and cover up of the incident. His defense attorney will argue that his client was at home recuperating from a motorcycle accident. He is being charged with conspiring to commit murder, two counts of murder, one count of attempted murder, sentencing enhancements for multiple murders, murder during a commission of a burglary, and murder during a kidnapping. The third defendant, Charles Murphy is a long time friend of Murtaza and faces life in prison with out the possibility of parole for similar charges. Penal Code Sections 664-187. 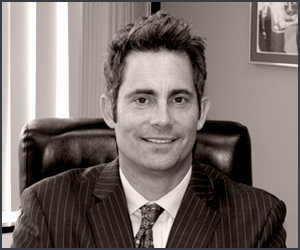 Criminal Law Updates by the Law Offices of Orange County Defense Lawyer William W. Bruzzo (714) 547-4636.